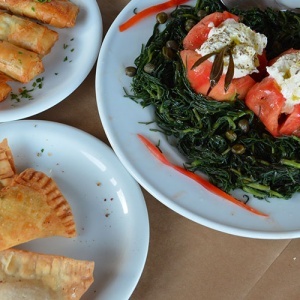 Even if Kea’s kitchen is similar to the kitchen of the Cycladic Islands, it differs and presents special flavors. The most popular and unique plates are “paspalas” ( pork chops cooked with tomato and eggs), “tsigara” (pork chops with fat), “loza” (smoked pork), smoked sausages with herbs and cheese -like xyrotiri, myzithra, xino and kopanisti. The local wine is named “mavroudi” and the honey of Kea is one of the best in Greece. Kea’s delicacies are also “pasteli”, which tastes really good, the handmade preserves and the marzipans. 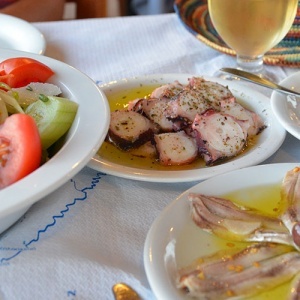 There are many restaurants in Kea that serve traditional and international plates. 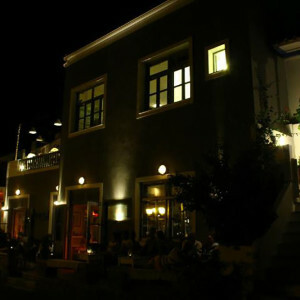 You can find those restaurants in Ioulida, Korrisia, Vourkari, Otzia etc. You can also taste the traditional kitchen in Villa Als Marmarei. 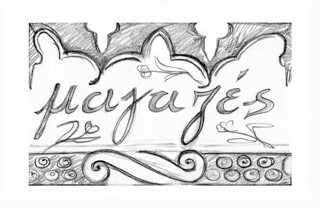 You have the opportunity to choose a native cook –male or female- and he or she can create memorable viands. In Villa Als Marmarei, you can also participate in seminars for ancient Greek kitchen. The night life of Kea is intense! 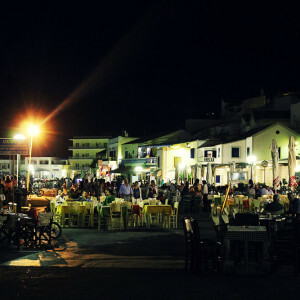 Except for the restaurants, you can also find bars, mostly in Korissia and Vourkari, where you can party with your friends until the dawn. Alcohol and music continue constantly at the beach bar Koundouros, the beach bar Spathi or Yaliskari. For the sport lovers and those who want to burn the calories from the great plates, there is a sports and a conference hall. For more relaxation spa and massage is ideal and reading is the best company you could ask for.